In 5 easy steps you can go from playing soccer to sharing the Gospel. 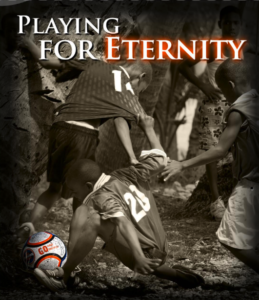 All eyes will be on you as you use soccer to launch into a captivating Gospel presentation. Get equipped by downloading our FREE e-book that coaches you to use sports as a connection point for sharing the Gospel. How long will The Mission Ball last? If you have additional specific questions, please check out our Frequently Asked Questions.